As part of President Obama’s broader jobs legislation, Congress has passed the Jumpstart Our Business Startups Act. Once signed, the legislation will create a new federal exemption for crowd funding from Securities and Exchange Commission registration requirements as well as state blue sky laws. The new law will enable entrepreneurs, filmmakers, musicians and other artist to raise annually up to $1,000,000 (or $2,000,000 if the company provides audited financials). Sites such as Kickstarter, IndieGoGo and RocketHub are providing variations on this service already but none of the sites are able to comply with the new law yet. The sale of securities without an exemption from registration is a violation of U.S. law, which is why the new law will be so helpful. The legislation follows the financially stingy Senate version that caps the amounts lower than the bill originally proposed in the House. The amounts represent a sliding scale, however that can range from $1.00 to $100,000 depending on the investor so with good planning, significant assistance will be forthcoming from these sources. The sales must occur through a broker or funding portal. The rules for the funding portals have not yet been established and the disclosure requirements are likely to surprise some innovators who expect the new model to look like the existing crowd-sourcing sales and donation model. Equally importantly, the rules will continue to bar the compensation of commissions for non-brokers. It is likely that the disclosure documents will look more like the types of private placement memoranda presently used by film companies and other small entrepreneurs who seek small angel funding from accredited investors. Still, the portal and the growth of the potential investor pool should result in a growing use – and increasing standardization of such documents. The portal and the ability to reach beyond accredited investors should help to greatly expand the pool of funds and simplify the creation of these documents, vastly reducing the cost and empowering a broad spectrum of new creative artists. Sites that accept donations on behalf of projects or sell goods (even movie frames, DVDs or tee-shirts) in lieu of providing investments will not need to comply with the new law. Similarly, the new law does not affect crowdsourcing in which people come together to provide services or donate towards worthy projects. The FTC has issued its final report setting forth best practices for businesses to protect consumer’s personal data. The report emphasizes “privacy by design” which, among other things, requires more opt-in approaches to information sharing, setting defaults as private, and recognizing that there is a range between confidential and public, such as limited to family, to friends and family, to colleagues, or others. While called the final report, it undoubtedly will not be. Legislation is likely in this area as technology and public demands continue to shift. The FTC recognizes as much. In the report, “Protecting Consumer Privacy in an Era of Rapid Change: A Proposed Framework for Businesses and Policymakers,” the FTC also recommends that Congress consider enacting general privacy legislation, data security and breach notification legislation, and data broker legislation. Some proposals, such as do not track will have much stronger support among all interests in the privacy debate and should see broad legislative support. Concerns for tracking of mobile devices are adding to public interest in privacy legislation. Moreover, concern about the power of police and security forces may further the discussion for appropriate U.S. legislation. At the same time, policy changes in Europe mean that it is likely the U.S. and Europe will move farther apart even as the U.S. tries to improve its protections of individual privacy. Encyclopaedia Britannica, which was first published in Scotland in 1768 will no longer be in print. The paid, online version will continue, as will the iPad and iPhone apps. The encyclopedia became a Chicago-based U.S. company in 1902 and is presently owned by Swiss financier Jacob Safra. 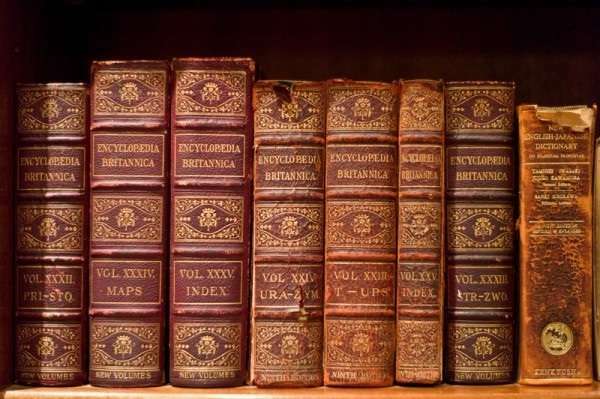 For generations of adults, the Encyclopaedia Britannica part of growing up. It was sold door-to-door for most of the twentieth century to families on the promise of a brighter future, lit by the compendium of knowledge necessary for the modern age. In their pioneering work on disintermediation, Boston Consulting Group members Philip Evans and Thomas S. Wurster highlighted the “near-demise” of Encyclopaedia Britannica as an example of “the new economics of information will precipitate changes in the structure of entire industries and in the way companies compete.” The Harvard Business Review article in 1997 received a 1997 McKinsey Award and their 1999 book, Blown to Bits, captured the transformation of media at its economic core, anticipating the new business models that supported Amazon.com, Apple and Google. Britannica was not caught entire flat-footed by the information age, but as noted in works on disruptive innovation, being a market leader sometimes makes it difficult to respond. Britannica created its first digital collection in 1981. Although it had its own multimedia CD by 1989, its sales were eclipsed by Microsoft Encarta when it launch in 1993. (Ironically, Microsoft had initial sought to work with Britannica but was rebuffed.) Microsoft essentially gave Encarta away for free to help justify the price of the personal computer, making the PC and disk close in price to the cost of just the home set of Britannica. The strategy work, helping to fuel the growth of the PC industry. In 2001, along came Wikipedia, a crowd-sourced free collaborative encyclopedia which has come to exemplify the collaborative movement for an always-networked age. Britannica decided that it could not compete with the free business model. Microsoft ended the CD run of Encarta in 2009. The Britannica sales strategy could never justify pricing and marketing the CD properly because it created too much damage to the print product. Although the accuracy comparisons continue between Wikipedia and Encyclopaedia Britannica, studies tend to find them comparable or Britannica to have only slightly fewer errors. “At Encyclopaedia Britannica we believe that the announcement that we will no longer print the 32-volume encyclopedia is of great significance, not for what it says about our past, but for what it projects about our vibrant present and future as a digital provider of general knowledge and instructional services,” posted Jorge Cauz, president of Encyclopaedia Britannica. By the end, the print edition accounted for less than one percent of revenue. Subscriptions represent 15 percent, which academic sales represent the rest. The books available were actually printed in 2010. 4,000 copies of the 32-volume set remain available. The end to this chapter of Britannica serves as an important marker to this chapter in the history of the Information Age. According to published reports, the U.S. Department of Justice has informed Apple and five leading publishers that they face probably antitrust lawsuits stemming from the pricing arrangements and possibly collusive conduct to set the prices for eBooks on the iPad and other non-Kindle devices. The eBook pricing changed radically when Apple entered the market. Amazon.com had opened the window on eBooks, purchasing the books at wholesale and setting its own prices. In 2010, it typically sold the books from the major publishers for $9.99 – a price below that of the wholesale cost. Authors and print book sellers complained that the price was often below wholesale, set at a price to drive the print booksellers out of business. For Amazon, this was a win on both fronts, giving it dominance in the new digital book market and undermining its print competition. Apple was heralded as a white knight for the publishers. It established an agency model of pricing – exacting a 30% charge for distribution and letting the publishers set their own prices. Prices shot upward and many of the publishers refused to deal with Amazon until it agreed to increase the prices at which it sold books. It is likely that the combination of agreements with Apple and concerted activity among publishers to force Amazon to raise prices resulted in the actionable antitrust activities. To Turow and the popular commercial authors the leadership of the Authors Guild represents, the success of Amazon has undermined the old structure of the publishing industry – complete with windows for hardback, trade paperback, paperback and eventually digital distributions. Each version was slightly less profitable than the preceding window, so to maximize profits, the windows had to be protected. Enter Steve Jobs. Two years ago January, one month after B&N shipped its first Nook, Jobs introduced Apple’s iPad, with its proven iTunes-and-apps agency model for digital content. Five of the largest publishers jumped on with Apple’s model, even though it meant those publishers would make less money on every e-book they sold. Turow is correct that the Justice Department should be looking to provide competition rather than picking sides among monopolists. But any collusive pricing strategies by the publishers – whether through Apple or Google or just amongst themselves – is harmful to the public and to the authors. The publishers are more worried that they are being disintermediated by Apple and Amazon. Authors can publish directly, without a publishing house. The editorial assistance can readily be purchased elsewhere and the marketing support is illusory to all but a fraction of the authors on each publisher’s list. So the Justice Department should use the litigation and resulting consent decrees to prohibit exclusive publishing agreements by retailers. Both Amazon and Apple have created exclusive distribution terms on some of their author-to-ebook agreements. This exclusivity will be a far greater threat to the authors and the public. The Justice Department should also remind the publishers that they will lose both market share and the public’s good will if they collude to fix prices. Not every best seller needs to be the same price. As both Amazon and Apple have established, lower prices and more fans is just as attractive a pricing strategy as fewer fans paying higher prices. Turow doesn’t get it. Although he posted that “an antitrust lawsuit against five large trade book publishers and Apple is grim news for everyone who cherishes a rich literary culture,” the lawsuit could be welcome new for anyone outside the victory circle of the present publishing monopoly – a circle that includes very few. The Authors Guild is rightly worried about fewer book stores and market dominance by Amazon, but it should not lose sight that shifting power to Apple or Google will not help in the end. It should foster competitive contracts for its members and all authors and should work against any agreements that require authors to distribute their books exclusively with one or another of the retailers. The Authors Guild should think about the public, rather than the publishers when it laments about the demise of the old book business. Disclaimer: I am a member of the Authors Guild but I have been critical of their position with regard to the Google book search class action litigation.